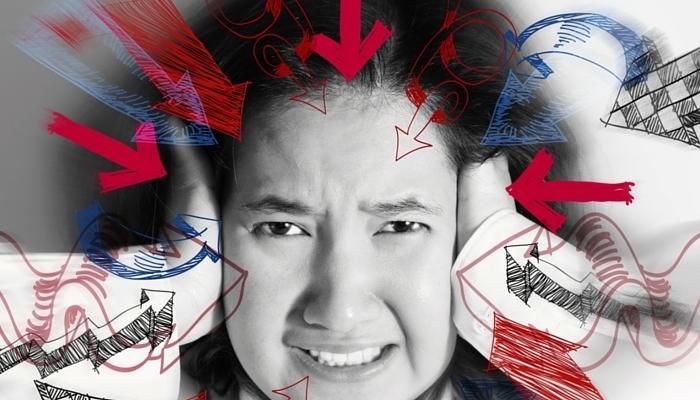 Do you find yourself trying to manage too many conflicting priorities? Do you have to keep multiple bosses happy, or have more new ‘initiatives’ start than you can complete? If so, you are not alone, but there are ways to manage these situations effectively. Although you need to be careful not to fall into the trap of creating systems and processes that take more time to manage than they save. The first point to accept is that you can’t do everything. Whatever your position in your business or however many people you have in your team, you are very likely to have more work to do than the time available (if you haven’t then that is an entirely different problem). Learning to say ‘no’ is a great skill to have, but unfortunately too many people see it as a weakness and the desire to please others can cause stress and ineffectiveness. One of the best books I have read on this subject is from the ‘One Minute Manager’ series, called ‘The One Minute Manager Meets the Monkey‘ by Ken Blanchard. It is a very easy and humorous read with some excellent advice. Once you’ve accepted that you can’t do everything, you can start to make sense of the rest. The first step is to get visibility over everything that isn’t categorised as ‘business as usual’. These will include formal projects – IT and business led, regulatory or government related changes, improvements to processes, ad-hoc initiatives and many other ‘good ideas’. When you start to compile this list you will be amazed at a) how many things are going on and b) how much time is being consumed. Don’t be surprised if different parts of the business are doing similar things with little knowledge of what the other is up to. Think about how much more effective your business could be if all this energy was channeled into doing the ‘right things’? When you have your list you can start to align it to your strategy or business plan and prioritise. This requires an open and honest conversation with your senior team / board. It can be very difficult for people to accept that their No 1 initiative is not high priority. To get projects completed some things will need to be stopped or deferred to later in the year. Unless you have a very small business I would advocate using a dedicated information system to manage your portfolio of projects/initiatives. In the past I have used Excel based systems, as this case study demonstrates. However, automated, cloud based systems like KeyedIn Projects, with low cost subscription models are now becoming accessible to any size of business. I particularly like KeyedIn because it enables you to hold all the information you need for management purposes and provide simple dashboards to help decision making. It also includes comprehensive resource planning and financial management functionality if needed. Click here if you’d like further information or a demo. Once you have your portfolio established you will have clarity on what is important and you can start managing more effectively. I’ll provide more information on this in a future email. In the meantimen am offering a free 60minute consultation (face to face or by Skype) to help you deal with ‘project overload’ in your business. I can only do a couple of these sessions a month, so if you need help contact me now to schedule in your appointment. If you have found this post useful, why not download our free eBook, “12 Successful Business Improvement Techniques“.